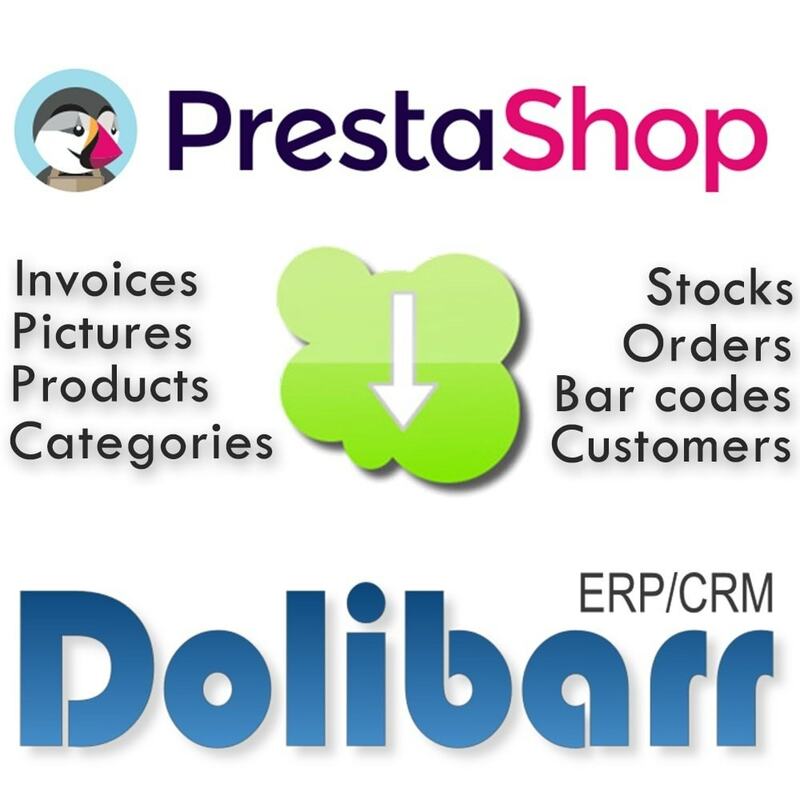 The first Prestashop to Dolibarr Module comes back in a Pro version. 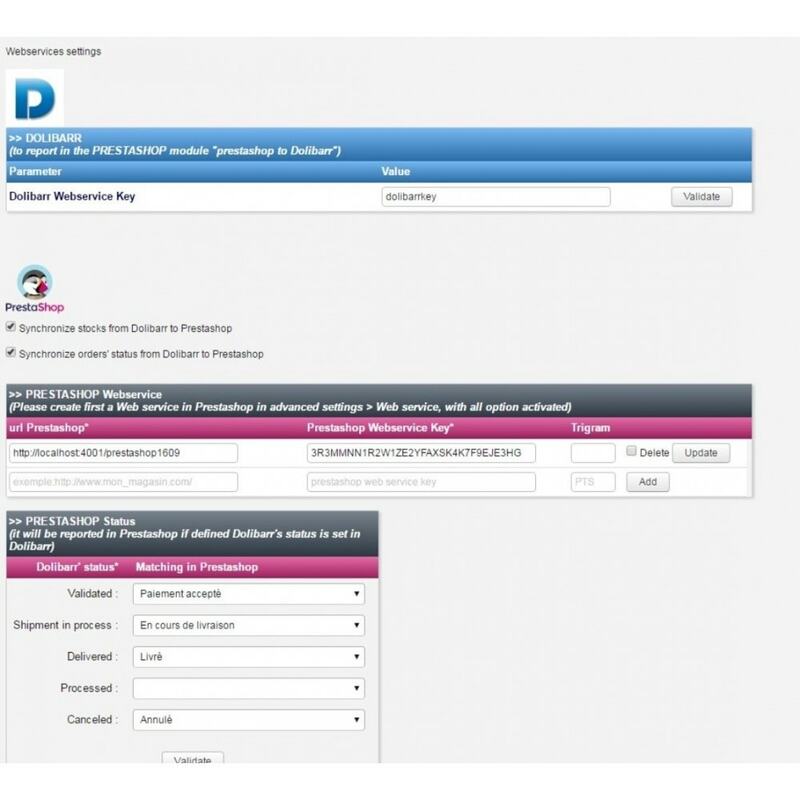 This multi module (one Prestashop and one Dolibarr) lets you synchronise all of your PrestaShop stores with Dolibarr. 1. 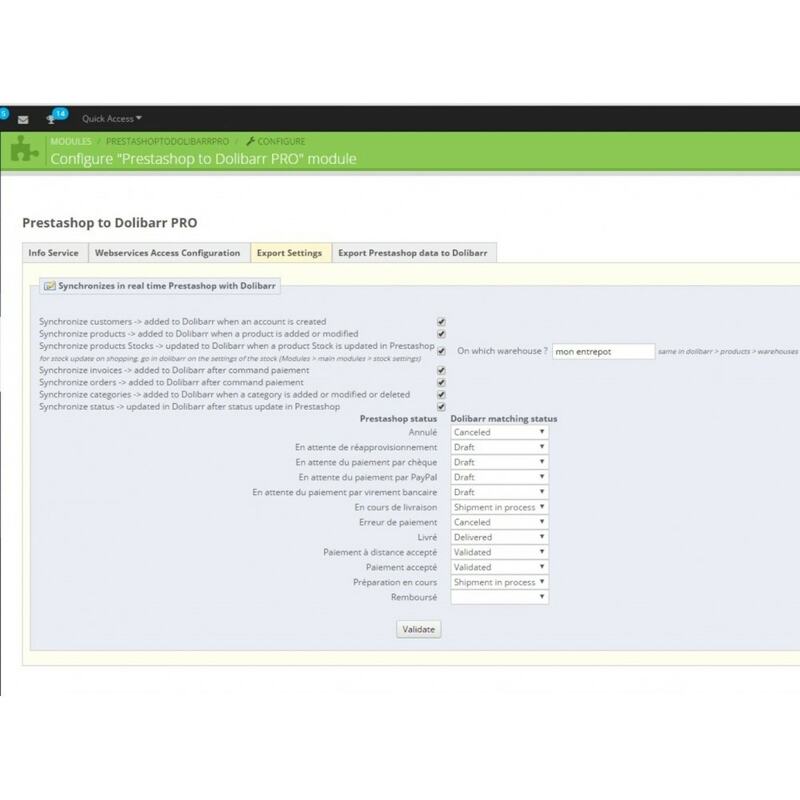 Your customers, intelligently sorted by prospects or customers in Dolibarr. 3. Your products, stored in their categories with their picture, barcode and inventory according to your warehouse. 4. Your orders with repercussion of internal links to your internal products and your internal customers into Dolibarr. 5. Bills with also impact internal links to your products and your customers into Dolibarr. The module works by communicating with Dolibarr's web-services. 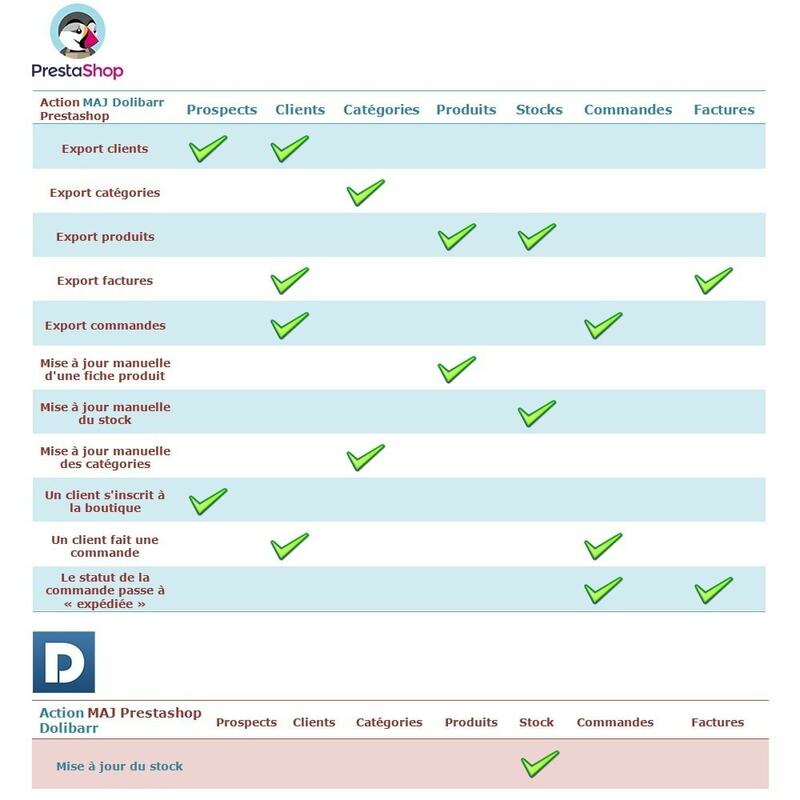 So you can have your PrestaShop and your Dolibarr on two different machines. The Prestashop to Dolibarr Pro module is the only one to synchronize so much data. This, with an auto-stop technology and intelligent recovery that will stop communicating himself before time-out of the server. And, with our technology you can sync all your data without server crashes and can catch without duplicates up as we can see in other similar modules. Moreover, when a phase shift occurs, a notification is inserted into PrestaShop. This, in real time, triggered by different actions in Prestashop. You can also export with a total mass management step by step according to the timeout of your server. Easily follow the installation steps outlined in the module.